The CMAT score is accepted by all AICTE-Approved Institutions/University Departments/Constituent Colleges/Affiliated Colleges. This test facilitates Institutions to select suitable graduate candidates for admission in all Management programs. Graduates in any discipline or Final year students of Graduate Courses can apply for CMAT. The applicant must be a citizen of India. Candidates who are in the final year of the Bachelor's Degree (10+2+3) Programmes or who have appeared in the final year examination from a recognized institution/ university can also appear in the test. There is no age restriction for appearing in CMAT. Each section consist of 25 questions each carrying a maximum 100 marks. Duration of exam will be 180 minute. For each correct answer there are 4 marks, for each wrong answer 1 mark shall be deducted. 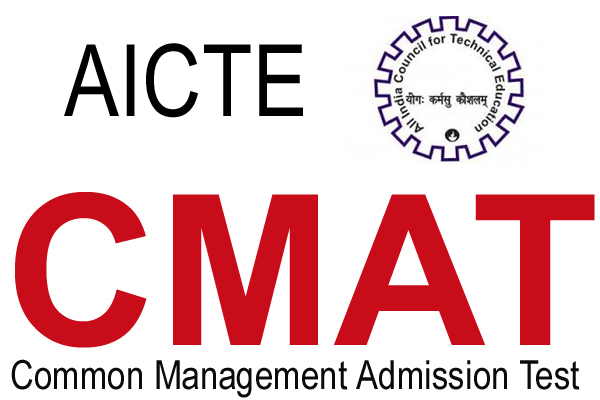 CMAT Trial test will be available on the website www.aicte-cmat.in for candidates to get familiarized with the functionality and navigation of the actual Computer Based test. Candidates are advised to go through them carefully to familiarize themselves with the screens, layout, and navigation. At the test venue, each candidate will be seated at a desk with a computer terminal and he/she will be provided with a scratch paper for calculations. After the test, candidate must leave the scratch paper at the desk. Rough work cannot be done on any other paper/sheet, as nothing will be allowed inside the testing room. No breaks will be given during the test. In return to the CASH Deposit, the bank will give you one copy of CHALLAN with their stamp and a JOURNAL number written on it. Please ensure the JOURNAL number written is clearly visible before you leave the bank. Now that you have deposited the CASH and got the acknowledgement CHALLAN, you need to wait for 48 hours. In these 48 hours, your payment will get updated in the registration portal. You will see a message on your screen stating “Thank you for successfully registering for the AICTE CMAT exam. The result of candidates appearing for computer based test CMAT will be displayed with RAW SCORES and Rank secured in the All India merit list. This scoring methodology ensures that the candidates are awarded the points for what they know, while points are deducted for inappropriate random guessing. Hypothetically the range of scores will be -100 to 400 (marks). Candidates will be provided with raw scores for each section. In case more than one candidate secures same ranking as per the above criteria, the same Rank will be assigned to all of them but will be displayed by sorting their names alphabetically. Admission authorities and institutions, however, will be free to take their own decision at the time of admission as to what weightage they wish to give to a particular section. The National merit list will be prepared and displayed in the public domain indicating Roll Number, Rank and the Raw Scores. The candidates will be able to see and download their score cards indicating section wise marks scored, total marks scored and Rank in the All India merit list.